Can Trump Make Mexico Fund the Wall? Can Trump Make Mexico Pay for the Wall? Si! Si, Señor! Nonetheless, he admitted while speaking at the Hudson Institute last September (video below) that Trump can, in fact, make the pesos flow. 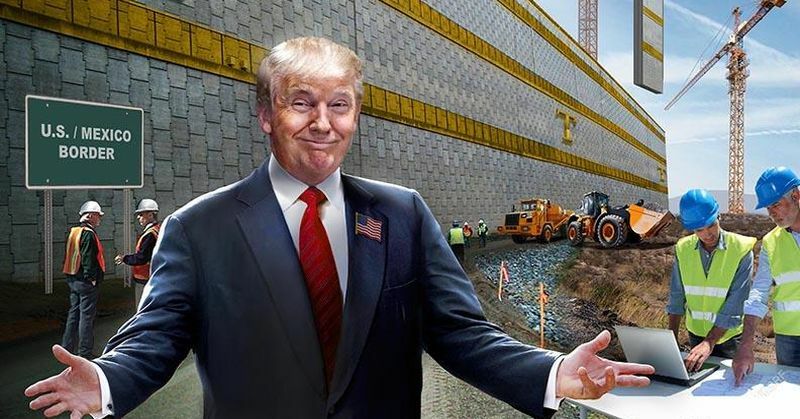 “If [Trump] really wants Mexico to pay for the wall, he has many ways of getting many Mexicans to pay for the wall,” Castañeda said…. Whether extracting such a price from Mexico is prudent is a different matter. Yet speaking of prudence, the wall is projected to cost between $8 and 20 billion. With the feds’ budget nigh on $4 trillion, this is approximately what Uncle Scam spends in 36 hours. Despite this, obstructionist liberals are still posing as fiscal conservatives. Securing the border and protecting the home front are together a most basic government role. Politicians refusing to perform it are guilty of nothing less than criminal negligence — and they have blood on their hands.